Hang Mioku made news because of her addiction to plastic surgery. The middle aged Mioku had been addicted to having plastic surgery since her twenties. She had a multitude of plastic surgery procedures. Fox News reported that she injected cooking oil into her face to plump it. 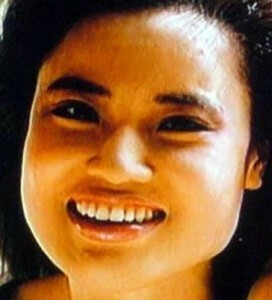 Sympathetic TV viewiers donated money for a corrective surgery to reduce her swollen facial features. Some of her swelling from the ill fated injections subsided but her face remained scarred. Hang has been mentioned in many an article about the perils of plastic surgery addiction. You can see pictures below of her ill-fated cosmetic surgery gone wrong.